Get inspired! 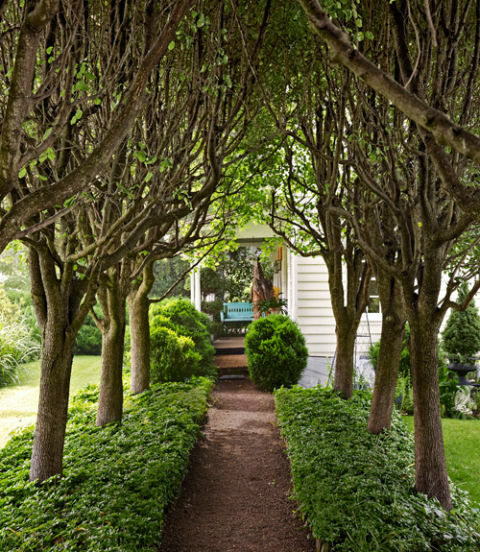 Update your front yard or backyard design with shrubbery, gardens, walkways, and more. 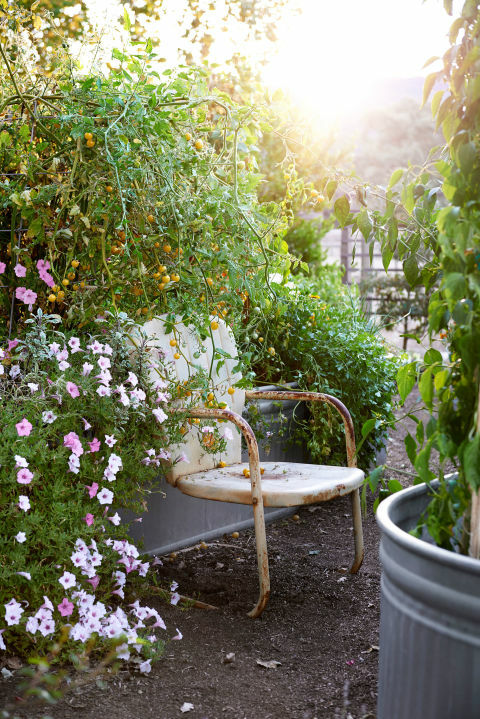 Give your yard a fresh look this season. 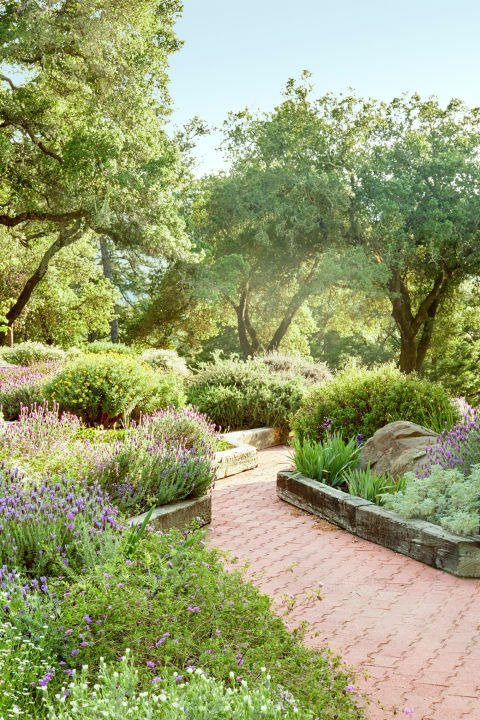 The lush garden of this Napa Valley country cottage features lavender, rosemary, irises, and fruit trees. 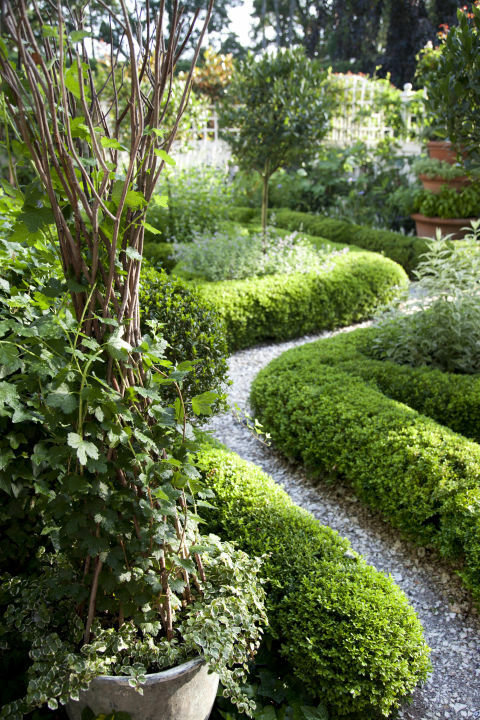 Boxwood hedges – whether rounded, squared off, or snaked through other borders – can add charm to any country garden. 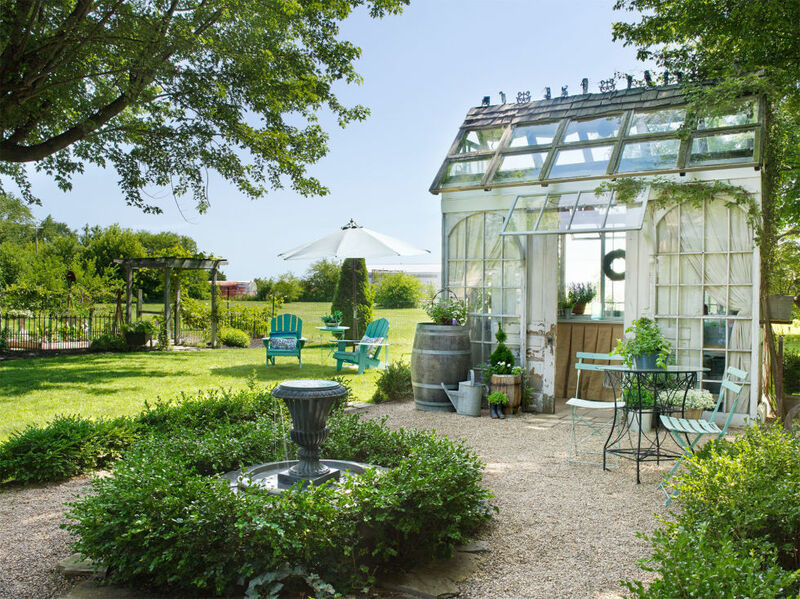 Boxwoods surround a tranquil fountain outside this sunlight-drenched “she-shed”. How gorgeous is this? 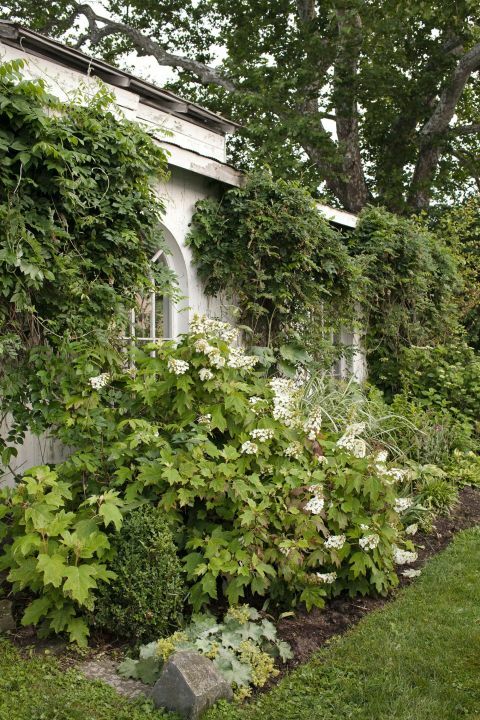 Oak-leaf blooms and lady’s mantle bloom in front of a former sugar shack overrun by wisteria vines. Plant large, eye-catching flowers that will grow up and around a fence to create a beautiful walkway to your home. Overflowing with your favorite flowers, window boxes are a irresistible draw for the eye. 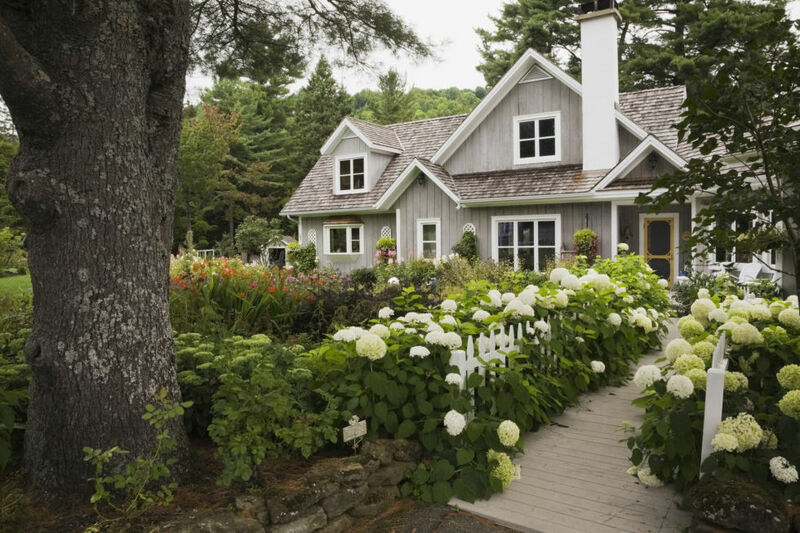 Consider planting flowers in a shade that complements the color of your home. Or, for dramatic effect, mix in a second plant that picks up your trim color. 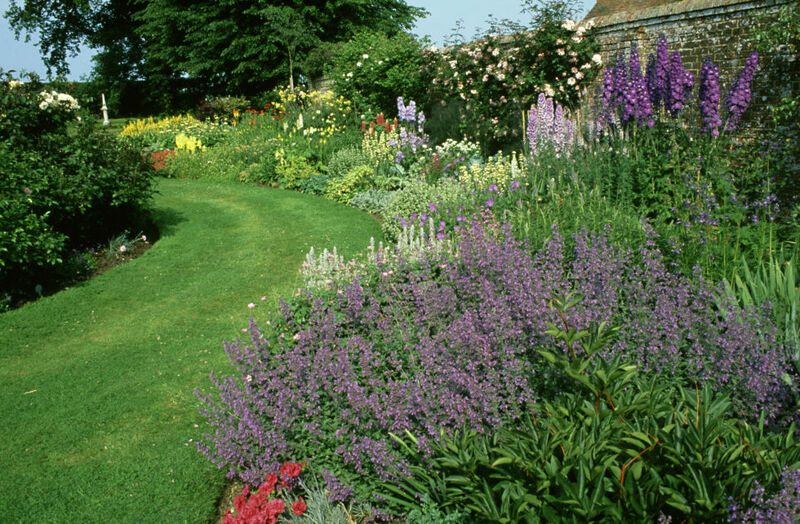 A herbaceous border of catmint, delphinium, red-hot poker, and roses covers this garden. 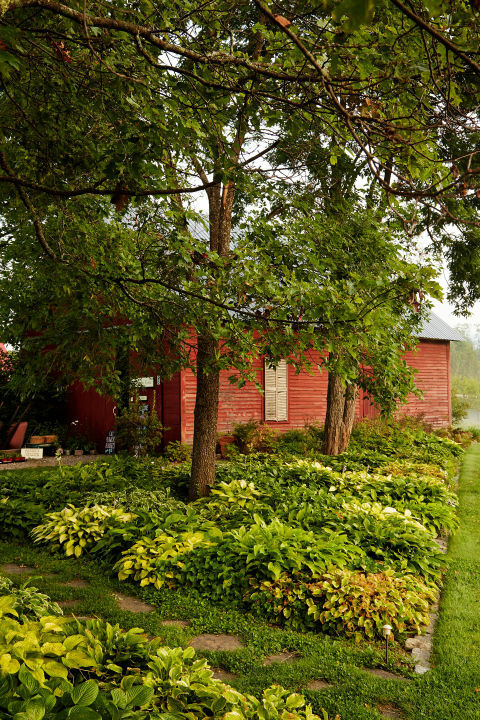 Twenty varieties of hosta create a lush patchwork in front of this New Hampshire barn.